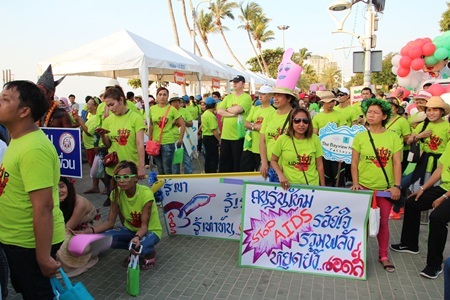 Parades and free condoms punctuated World AIDS Day commemorations in the Pattaya area. 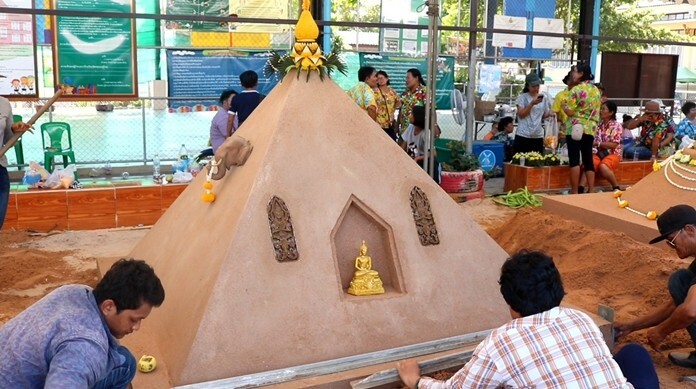 City Councilman Rattanachai Sutidechanai opened Pattaya’s Dec. 1 celebration at Central Festival Pattaya Beach. 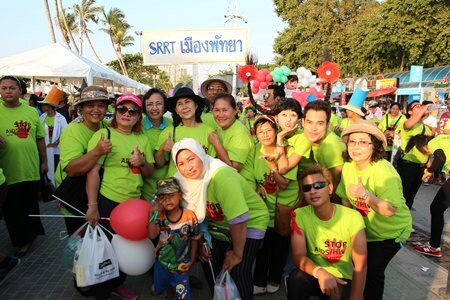 Among those attending were representatives from HIV/AIDS charities such as the Glory Hut Foundation, Sisters Foundation, and campaign ambassadors, Queen of Good Health Pronkanet Kedradsamee, and Miss Trans Leadership Surachai Petchthongkom. 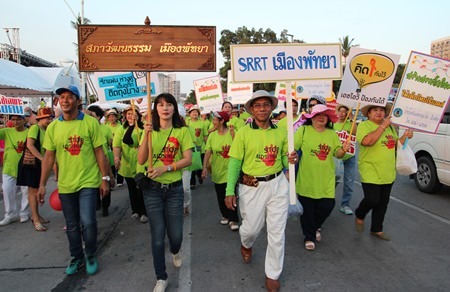 The World Health Organization has made Dec. 1 World AIDS Day and Thailand has used it to promote its campaign to eliminate new infections and deaths, plus eliminate the stigmatization and discrimination against HIV sufferers. 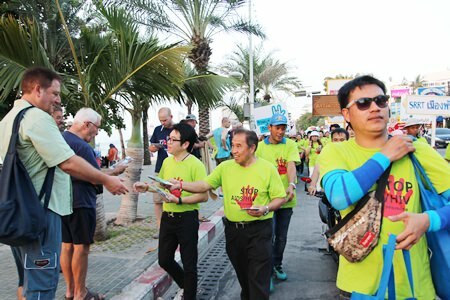 City Councilman Rattanachai Sutidechanai and city council members hand out informational literature about HIV and AIDS during the World AIDS Day parade down Beach Road Pattaya. 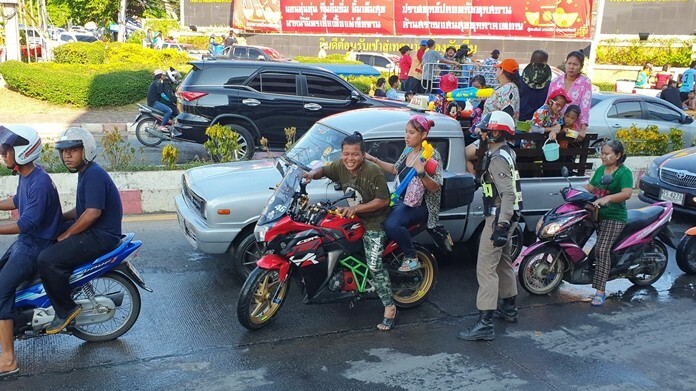 In addition to a Beach Road parade, there were exhibitions, quiz games, shows and distribution of free condoms. 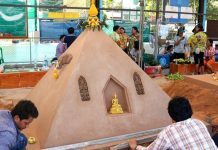 In Nongprue Sub-district, Mayor Mai Chaiyanit presided over a similar ceremony at Suttawas Temple. 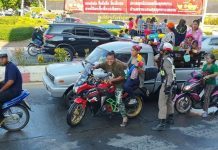 Speakers discussed the various facets of HIV and AIDS, preventative measures, and certificates were handed out to 80 students.